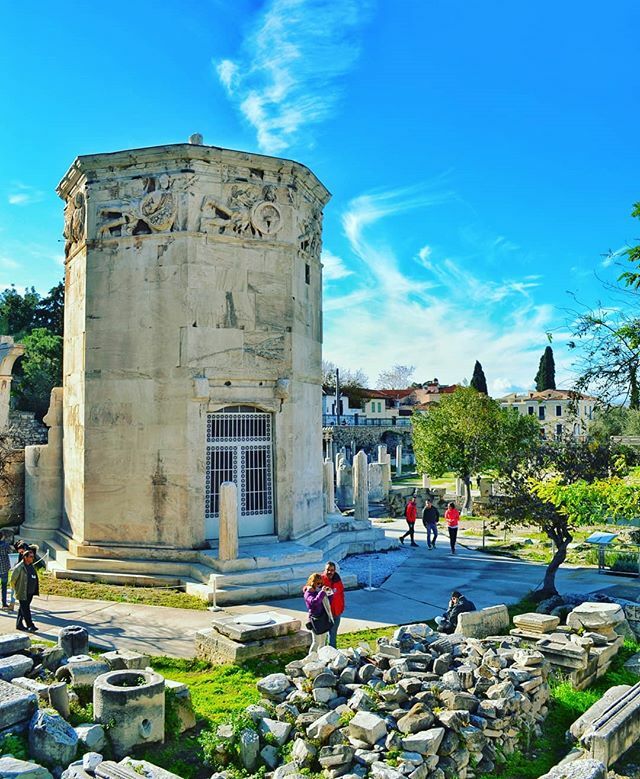 In the Roman Agora of Athens an octagonal tower made of marvel is located; and it is considered to be the world's first meteorological station. The tower of the Winds or Aerides as it is known among Greeks is a 12 meter height structure with a diameter of 8 meters. The frieze of the tower depicts the eight Greek deities of wind, one for each cardinal direction the wind comes. Below the frieze they were 8 sundials. The height of the tower allowed for the sundials and the wind vane to be visible from a long distance which makes the tower one of the earliest examples of a clock tower.